Máscaras para la gripe A 3M prescriptions are currently not available via our online consultation service. You can, however, request an online consultation for flu -viral infections. 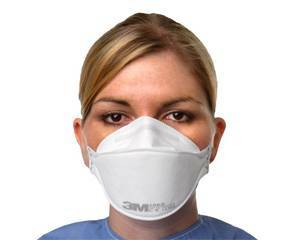 3M Swine flu masks These are single use flu masks that are flat packed and sealed in packs of 20 or 3. Recomended for FLU / SARS / TB infection control by the World Health Organisation. These FFP2 masks exceed the requirements of European Standard EN149 FFP2, and are CE Approved.